World-renowned architects Foster and Partners, whose works in Hong Kong include The Hong Kong and Shanghai Bank headquarters and the Hong Kong International Airport, have been engaged as designers for the project. With its unique location in a stand-alone building positioned between the Central business district and the green oasis of Hong Kong Park, the 336-room hotel will offer a sophisticated, urban chic sanctuary in the heart of the city. Among its unique features will be a stunning rooftop bar with some of the most breathtaking views of the city. A series of signature restaurants are also being planned. Seasoned British-born hotelier Duncan Palmer has been appointed as the hotel’s Managing Director, and will bring his many years of experience with The Savoy, The Connaught, Mandarin Oriental and Langham Hotels amongst others to create a truly world-class new hotel for Hong Kong. “I am quietly confident this will become the preferred hotel in Hong Kong for visiting dignitaries, captains of industry and leaders in style. They will appreciate the sophisticated and international standard of hospitality that the Niccolo brand delivers.” said Mr Palmer. commercial centre which has become the epicentre of Chengdu’s events. The new Niccolo Hotels brand was conceived and designed to cater to the growing maturity and sophistication of the luxury hotel sector in China, and Chengdu was chosen as the setting for the brand’s first hotel since it has become the most successful economy of any city in mainland China. Niccolo Hotels was recently recognised as the “Best Luxury Hotel Brand of the Year” at the 2016 Asia Hotel Awards held in the mid of September, adding yet another illustrious accolade to the brand’s growing list of honours. 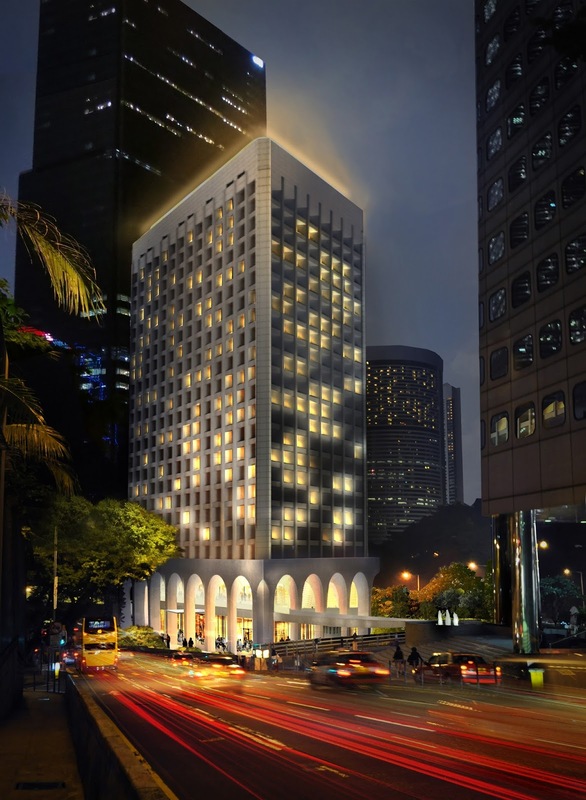 The Murray, a Niccolo Hotel, Hong Kong, part of the city’s Conserving Central Project, will open in October 2017 on Cotton Tree Drive in Central, Hong Kong. Formerly the stand-alone Murray Building, one of the city’s most iconic and historic landmarks, the hotel is positioned among the central business district and the green oasis of Hong Kong Park. With 336 rooms spanning 27 floors, The Murray will offer a contemporary urban chic sanctuary in the heart of the city. Among its unique features will be a stunning rooftop bar with breathtaking views of the city, a series of signature restaurants and bars, as well as creative meeting and event spaces. another golden era in travel. Underpinning everything is the desire to make life effortlessly luxurious. Niccolo Chengdu is the first to open, with an additional 4 Niccolo hotels currently under development in Hong Kong, Chongqing, Changsha and Suzhou.